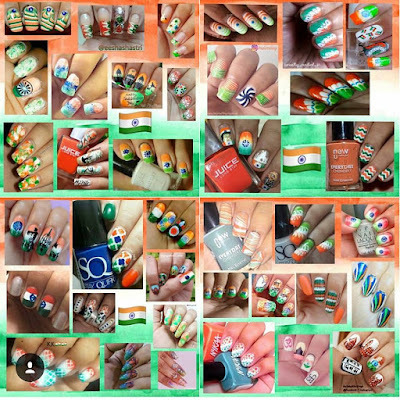 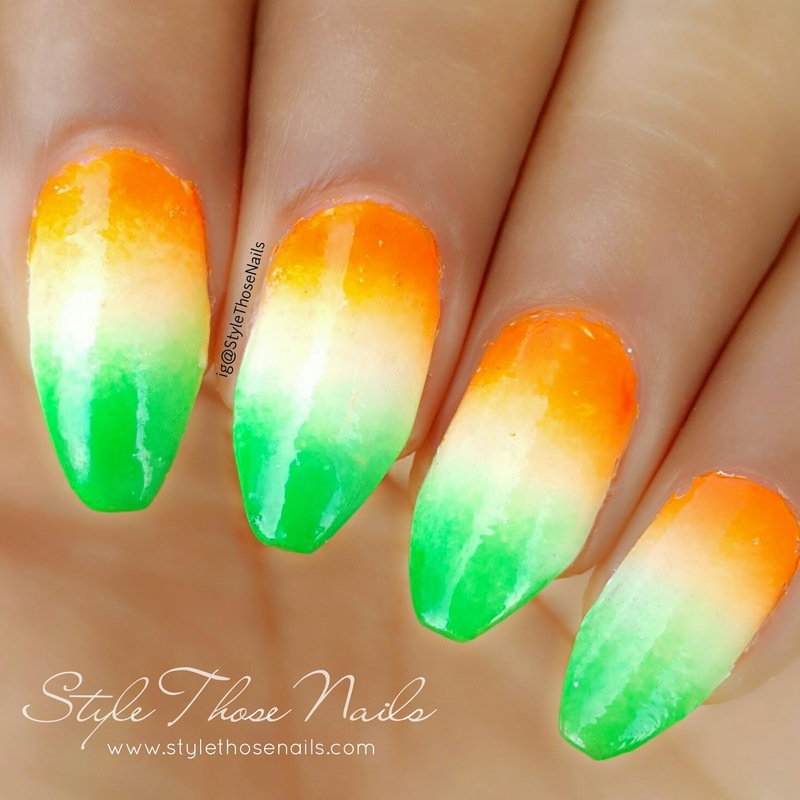 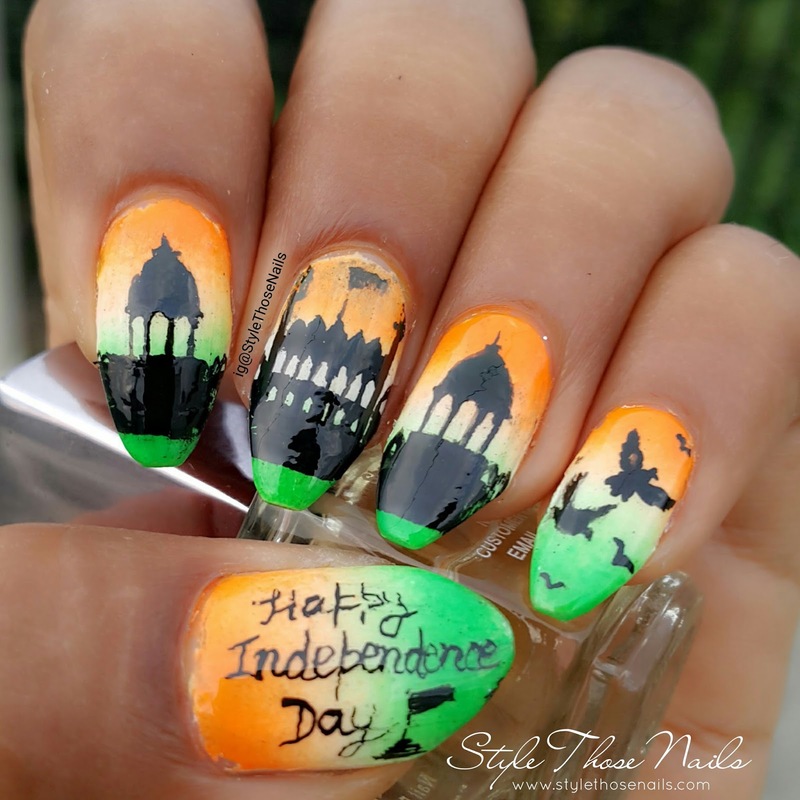 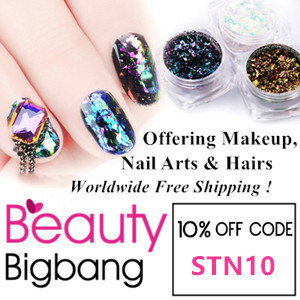 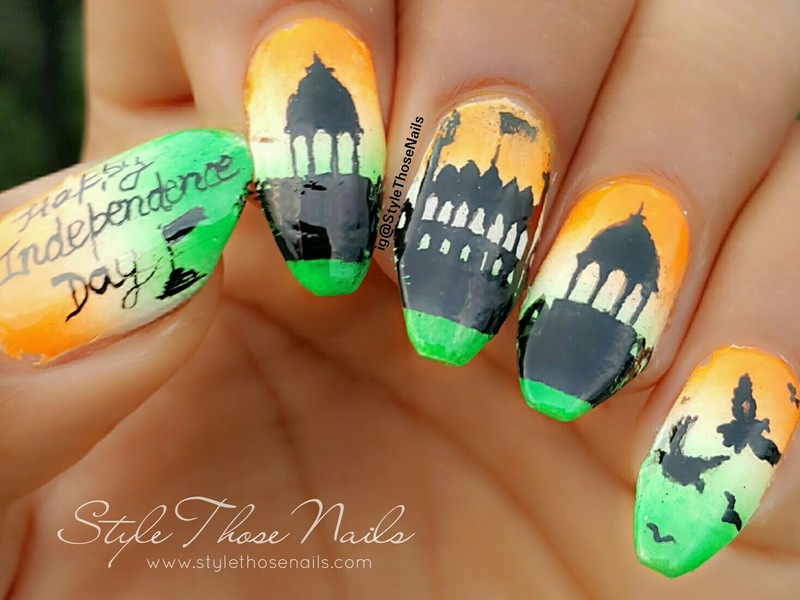 Style Those Nails: Independence Day -2016 Nailart Collaboration. 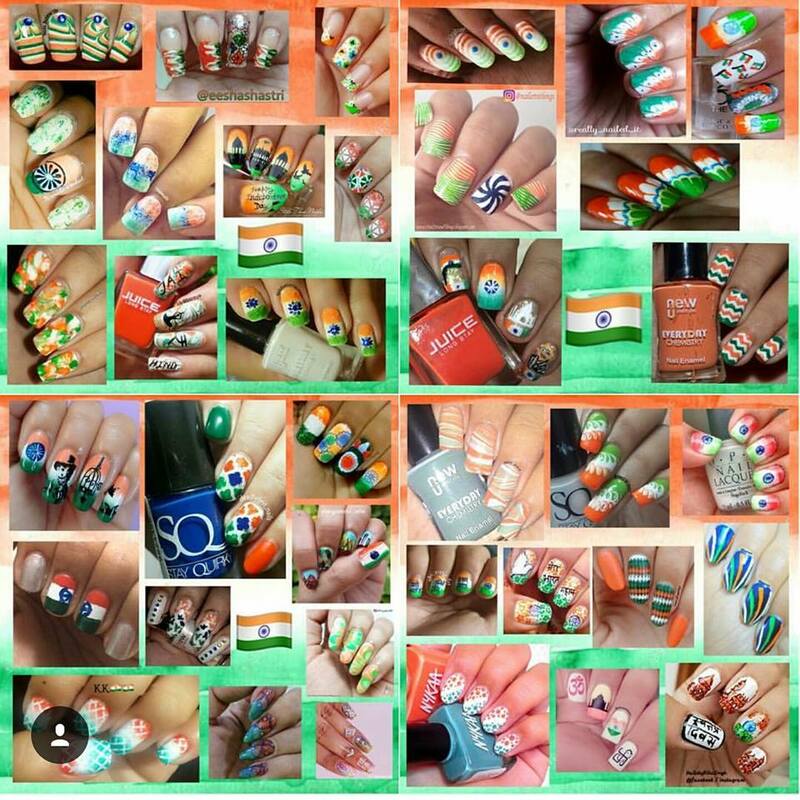 Independence Day -2016 Nailart Collaboration. On my nails I did a gradient of tricolour depicting Indian Flag and then with the help of black acrylic paint I drew Red Fort where Indian Flag is hoisted by Hon'ble Prime Minister of India.